Shoreline Provides Records Management and Off-Site Document Storage services to hundreds of companies throughout the New York Metropolitan Area. Conveniently located on Long Island, Our Secure, Climate Controlled facility offers a great place to store your valuable business records. We offer competitive Document Storage Rates, and our innovative Scan On Demand Services can help you to significantly reduce your overall records management costs by providing electronic access to hard-copy files. 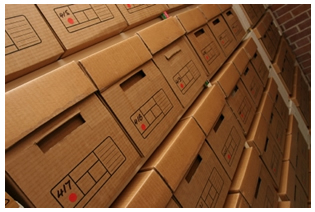 In addition to paper storage, we offer record storage boxes, document pick-up and delivery services, document imaging services, and secure document shredding. We have over 15 Years of Experience in the Records and Information Management Business, and are active members of many Records Management Industry Organizations including PRISM, AIIM, and ARMA. How can Shoreline Help your Business with Document Storage and Records Management? 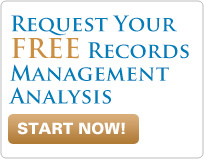 In addition to knowing that your files are safe and secure, working with Shoreline Records Management provides your business with an expert partner in the Records Management Industry. Not only can we provide Off-Site Document Storage and Online File Hosting, but our Document Imaging Services can help improve your access to information by helping to convert paper records to digital images. With the increasing complexity of Records Management, there's a lot to consider when selecting a partner for Records Management Services. For Example, unlike many Records Management Outsourcing and Off-Site Storage Vendors, Shoreline will notify you when it's time to destroy your confidential documents. We don't just put your files on the shelf and forget them, but instead serve as a true partner in managing your records retention lifecycle. This proactive approach can provide significant savings by minimizing the amount of information in long-term storage, and also reducing your liability by expeditiously discarding your outdated, unneeded information. Today, True Records Management must encompass both Digital and non-Digital Content. Neither a Document Storage and Retention Strategy, nor an Enterprise Content Management System can fill the requirement independently, and therefore Companies must effectively manage both Physical and Digital Information to ensure smooth operations. Shoreline Records Management employs a number of experts in helping to manage both physical and electronic file storage, and our document management team can help you to deploy effective, cost savings strategies for all of your business information.